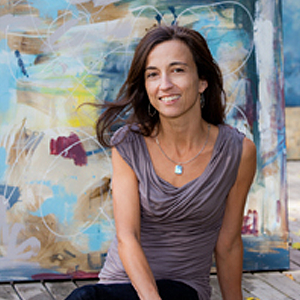 Susanne Langlois is a Kingston-based artist and designer whose paintings and drawings are fresh, vibrant and peaceful. Susanne first began painting while completing her Bachelor’s Degree at McGill University in Montreal. She then moved to Toronto where she was a fashion designer and co-owner of Eza Wear clothing for 10 years. During that period painting remained a passion and her artwork was featured in both individual and group showings. Susanne has recently returned to her home town of Kingston with her husband and two children. She is currently channeling some of her creative energy in to drawing commissioned house portraits in pen and ink. Other projects on the horizon include art shows in Toronto and Kingston. Throughout her career Susanne has donated numerous paintings to charity auctions for many different organizations, including KFLA United Way, Kingston Community Foundation, Limestone Learning Foundation and Gilda's Club. She also frequently donates a portion of her proceeds from exhibits to various not-for-profit organizations such as Loving Spoonful, War Child Canada, Ride to Conquer Cancer, The Taylor Statten Camp Bursary Fund and Lake Ontario Waterkeeper.